What’s it about? Morten Tyldum brings us the story of Alan Turing and his team of mathmeticians who try to crack ‘the hardest problem in the world’ – the Enigma machine – in World War II. 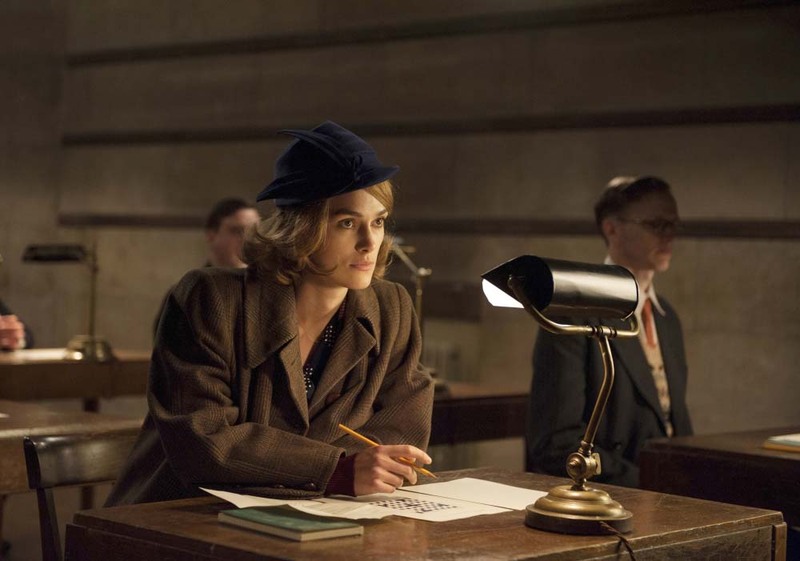 Benedict Cumberbatch stars as Turing, with Keira Knightley as fellow code-breaker Joan Clarke. It’s important to separate the real life story from the movie. The Weinstein’s awards campaign encouraged voters to honour the film to honour Turing, but this is problematic. 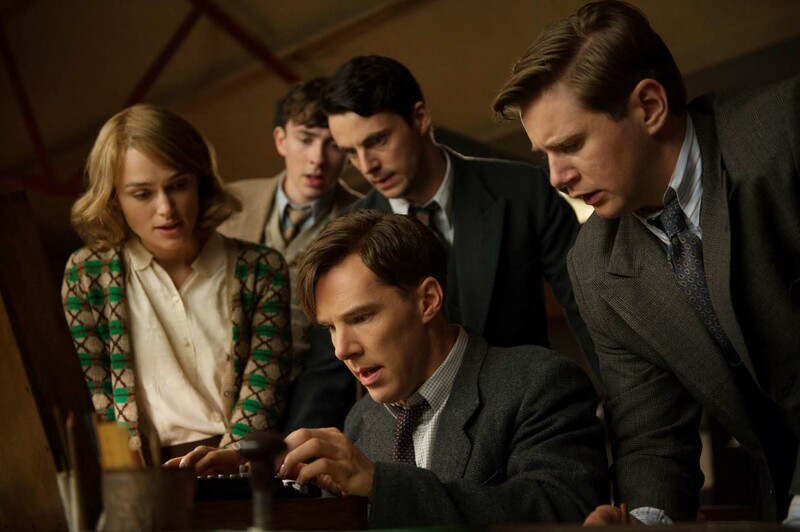 Nobody is questioning how deserving Turing is of praise, or that it’s good this movie has been made, but does the movie do the story and the man justice – put simply, is it actually a good film? A film isn’t good purely because it is telling an important story. For such a serious story, it has a surprisingly light tone to begin with. This is a deliberate attempt to make sure it doesn’t feel like a documentary or a lecture to show people in schools. It’s actually laugh-out-loud funny in a number of places, usually as a result of the obsessive-compulsive/autistic mannerisms of Turing resulting in him being very blunt to colleagues and superiors. There’s still room for some moving scenes, though maybe not quite enough on the way Turing was treated after the war. The film moves at a reasonable pace, with three time periods slotted together well, all accompanied by Alexandre Desplat’s moving and thoughtful score. We actually begin after the war with the police investigation, before spending most of the time showing Turing during the war, as you’d expect, whilst also witnessing flashbacks from his childhood. Cumberbatch does very well in bringing the man to life. He inhabits the role and is completely believable as a genius mathematician lacking in social skills. He gradually becomes more likeable, thanks in part to Joan softening him, but his character is made more sympathetic thanks to some excellent flashbacks. Alex Lawther as the young Turing, is a real stand out in a film full of good performances. It’s the flashback scenes, and Lawther in particular that gives The Imitation Game its heart and really give us a chance to get inside the head of Turing, given how much of a closed book he is for the majority of the film. Cumberbatch’s performance though wouldn’t work without those of the rest of his code-breaking team. Knightley is as solid as ever as the ever-so-English Joan, Turing’s complicated love interest. Matthew Goode, Matthew Beard and Allen Leech all successfully bring different personalities and energies into the team and into the film itself. The film itself looks really good, and not just the knitwear on show. Tremendous detail has gone into recreating what Bletchley Park would have looked and felt like, including the code-breaking machine itself. They manage to make turning cogs interesting to watch, which is an achievement in itself. The on-the-ground scenes of war look good, and although the bombing and U-boat scenes add to the sense of the overall war (and prevent it seeming too ‘televisual’), they don’t have the best visual effects. Extras: Also on the Blu-ray and DVD are short documentaries about the making of the movie and recreating both Bletchley Park and the code-breaking machine, a documentary about Alan Turing, and a documentary about the men at Bletchley Park, all featuring the cast and crew of the movie. Final Words: The Imitation Game works well in creating a moving and entertaining story about an incredible figure. 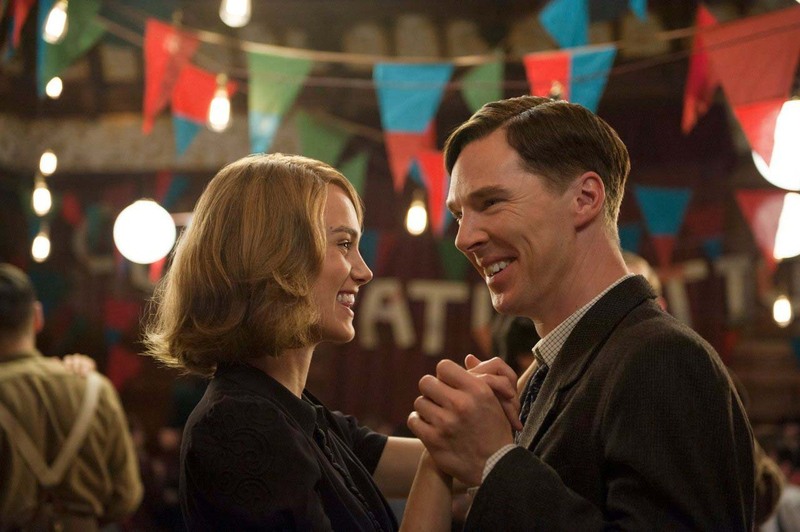 In a film full of good performances, it’s the contrasting but complementary performances of Cumberbatch and Lawther as Alan Turing that makes this film one to watch. Surprisingly humourous, it also manages to nail the emotional moments. Despite the aim from the filmmakers to veer away from it, this is sure to be shown in schools when children study the Second World War, and rightly so. The Imitation Game is on Blu-ray, DVD and digital platforms on 9th March 2015, courtesy of Studiocanal.